Today, I watched dozens of people audition to join the Under the Gun Theater ensemble. I wrote down their initiations. Take a look and consider how you’d react to these first lines. None of these is a great first line. (I am partial to the one about digging holes, however.) A few are woefully inadequate. You do need to give some information in that first line, so a generic, “Hello,” doesn’t get much across. But in reality, you could probably have a good scene with any of these lines. An improv scene’s success usually hinges much more on the second line than the first. It is your reaction that sets the stage for the scene to come. Think of how Big Bird might react to any of these lines. Now consider how Oscar the Grouch might react. To quote Hamlet, “There is nothing either good or bad, but thinking makes it so.” If you had any kind of emotional reaction to any of these initiations, the scene would be off and running. The initiator was not particularly invested in the initiation. Nonchalant characters are hard for the audience to care about. Consider, “So, iceberg lettuce, right?” If you heard that spoken to you, what could you possibly intuit from those words? Is this character happy/angry/sad/lonely? The words themselves don’t matter, but the intent behind them does. For more on this, read up on the genius TJ Jagodowski’s take on “heat” and “weight.” A simple line can have tremendous weight if delivered properly. The heat refers to the implied intimacy of the relationship. As it was delivered in the audition, there was no weight and no heat to the relationship in that line. The scene sputtered. The initiator was indecisive. These phrases popped up in the first lines of the scenes I watched: “I just don’t understand,” “I wonder,” “I don’t remember how I got here,” “I don’t know,” “I can’t think,” and, “I don’t know if I’m comfortable.” These lines indicate subconscious fear on the part of the performer. 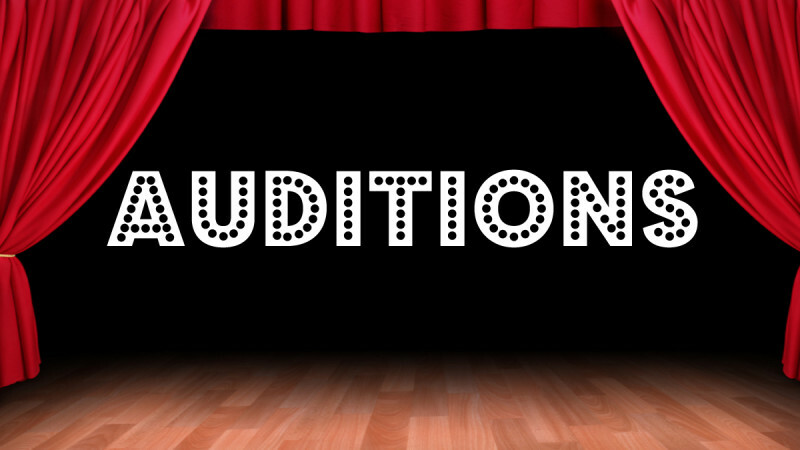 Yes, auditioning is nerve-wracking. As an improviser, your scenes will be more successful if you’re declarative at the start. Which is the better first line in these examples? This is what your teachers are saying when they tell you not to ask questions in a scene. I think the “no questions” rule is awful, since real humans use questions frequently and you sound like a monster if you never ask questions in a scene. But it’s the ambiguity and uncertainty of questions that really drags down a scene. Wile E. Coyote doesn’t walk up to the Road Runner to ask, “Can I eat you?” He just pounces. Asking permission or seeking approval of your fellow human is a wonderful quality in life. In improv, just make assumptions and take action. The scene will go more smoothly. The initiation was too functional. Consider, “Oh my God. I don’t know what I’m gonna get from the concession stand.” Care to guess what the subsequent scene was about? Yep. Three minutes debating the merits of various candies. To be fair, that opening line could work if you had a savvy scene partner. Instead of making the second line about the stupid concessions, you could make it about the first character’s indecision. For example, “You never had trouble picking candy before you got engaged, Carla.” All of a sudden, the scene pivots away from what we don’t care about (the candy) to something we do care about (what’s bothering Carla). I promise you, no one in the audience cares about the outcome of a fake decision you’re making on stage. In fact, I’m sure the actor didn’t care about the outcome. So why are you spending valuable stage time on that? You’ll hear improv coaches say you should avoid talking about what you’re doing. That’s because the details of baking a pie or fixing a flat tire are not entertaining. But if you’re baking a pie while discussing your broken marriage, activities like breaking an egg suddenly take on a huge metaphorical weight. If you’re fixing a flat tire on your way to propose marriage to the girl in the passenger seat, I’m going to be interested. Make your activity a metaphor for something larger – ideally something emotional inside you or between you and your scene partner. Oftentimes, functional scenes occur because people are playing “polite.” We are taught we are supposed to “Yes And” our partner’s ideas. You frequently get scenes like, “Let’s go bowling!” “Okay.” (Two improvisers bowl for three minutes, talking about what pins they knock down while they hate themselves for their choice and silently beg for the mercy-kill of a sweep edit.) “Yes And,” does not mean you are a puppet who just has to do what you’re told. When you hear, “Let’s go bowling,” all you need to respect is that your scene partner has a desire to bowl. You could say virtually anything in response. How could you help this initiation by adding context? Here are some ideas. If you encounter, “Let’s go bowling,” in an audition, it’s your job to make a choice about how that line affects you. Hopefully, the first line is delivered in a way that helps that choice. If not, fill in the blanks. Who is this person to you? 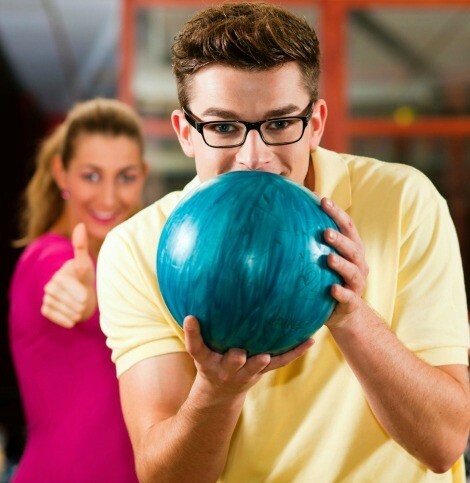 Why might it be appropriate or inappropriate to go bowling? How do YOU feel about bowling? Responding with any of that information gives you so much more to build with. You can have a great scene that begins with, “Hey,” as an initiation. And it can be about the dumbest thing in the world. But the characters need to care about something. Consider this genius SNL sketch about a “fenced-in area.” It is literally about a man who only cares about the small part of his back yard he put a fence around. If he can care about that, you can find a way to care about something in your scene. I’ll remind you of a quote from the late, great Roger Ebert – “It’s not what a movie is about, it’s how it is about it.” The text of your sentences can be almost anything. It’s the meaning behind them that really matters. Your scene shouldn’t be about digging a hole or selecting brunch items or polka dot curtains. But any of those scenes can be great if they reveal something about a character or a relationship. Dig beyond the surface. Find the gold. Slay the audition. This entry was posted in Uncategorized and tagged auditions, comedy, improv, improvisation, initiations, Roger Ebert, SNL, TJ Jagodowski, yes and. Bookmark the permalink. I liked the volcano initiation. I see a subtext in that: what if is she/he really talking about the other character, that is going to explode, and not the volcano? Talking of one thing, while actually referring to a deeper theme, is one of my favorite “game”.